The pop musician is... very good at this kind of thing. A wonderful thing about the post Trump era is that a lot of people are really done with both sideism. Both sideism got us here to this place where Clinton’s e-mails and Trump’s racist fascism were considered one and the same, and both sideism is still the favorite tool of a majority of people who make bad arguments. Arguments such as — that the democrats are also responsible for the shutdown, despite the fact that Trump said that he will own the shutdown, and Mitch McConnell is currently the one voice blocking the vote to re-open it. Presumably, it was the ignoring of this that led Tomi Lahren, the conservative talking head and casual racist to imply Cardi B is stupid for her now viral call to an end to the government shutdown. 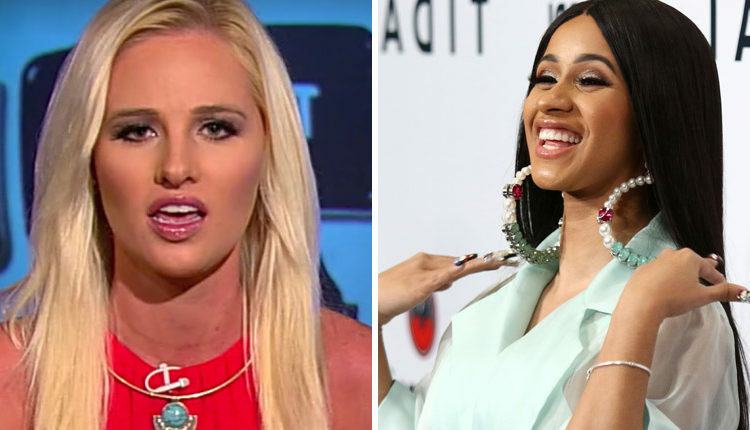 Unfortunately for Lahren, when you tangle with Cardi B, you really are like an ant in a hurricane, and Cardi B’s response was… incredible. Check it out below. Tomi Lahren… she will… dog walk you. 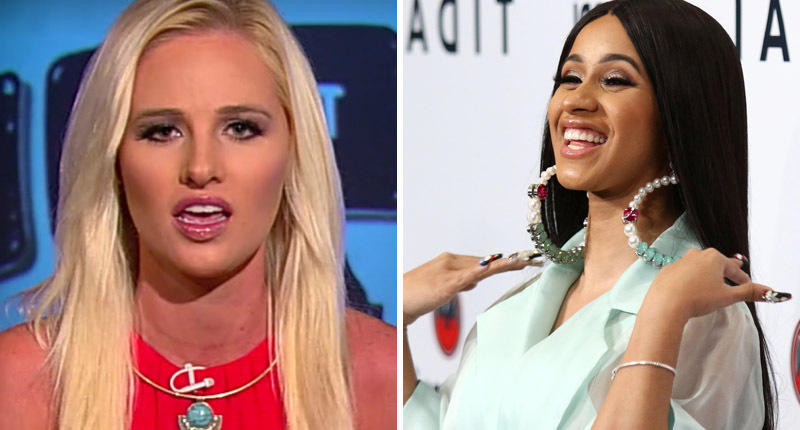 Aka, drag you left and right, and folks that’s exactly what happened when Tomi Lahren responded to Cardi B with some meaningless platitude, Cardi responded with some straight up facts, calling out Lahren for her constant casual racism and her attempt to dump responsibility for the shutdown onto the party. It was brilliant to watch Cardi — an entertainer, be so much more verbose and eloquent than someone whose job is supposedly to explain these issues to the American people. Cardi B for the most part stayed silent, ignoring people attempting to argue with her, or even people supporting her, but she did make an exception for one person implying she doesn’t pay for his insurance, pointing out she pays millions in taxes, so if you want to go down that route, just hold on a second.